Jinkies! 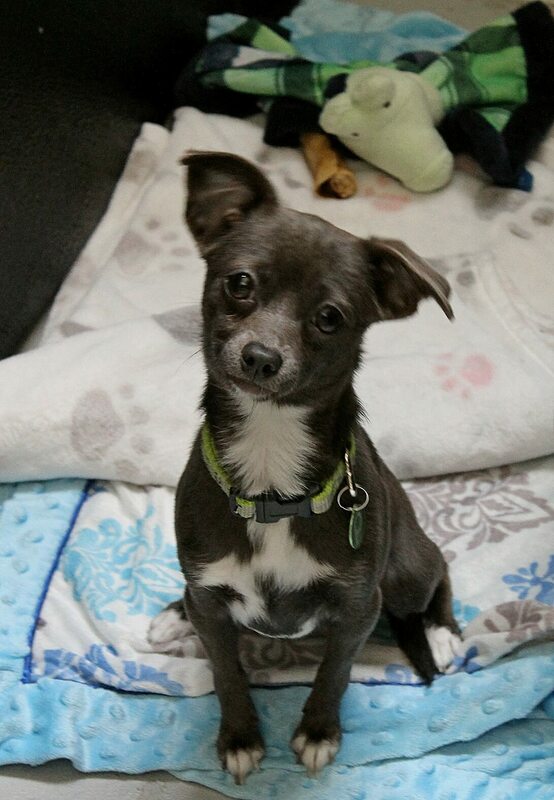 My name is Velma and I am a sweet 1 year old 7 lb Chihuahua who is figuring out the mystery and following the clues that will lead me to my new family! Smart, quiet, and oh so cute, my foster mom says I am such an easy going gal who goes with the flow and gets a long with everyone I meet! I can take a few minutes to open up with new people, but you can instantly tell that I am girl who is ready to bond with that special someone. I all about those snuggles and would love to accompany you on the couch on a rainy day watching some of our favorite mysteries! But I can still enjoy other activities too, and enjoy wrestling and playing with all my furry friends, cat and dog, and my human pals over 12. 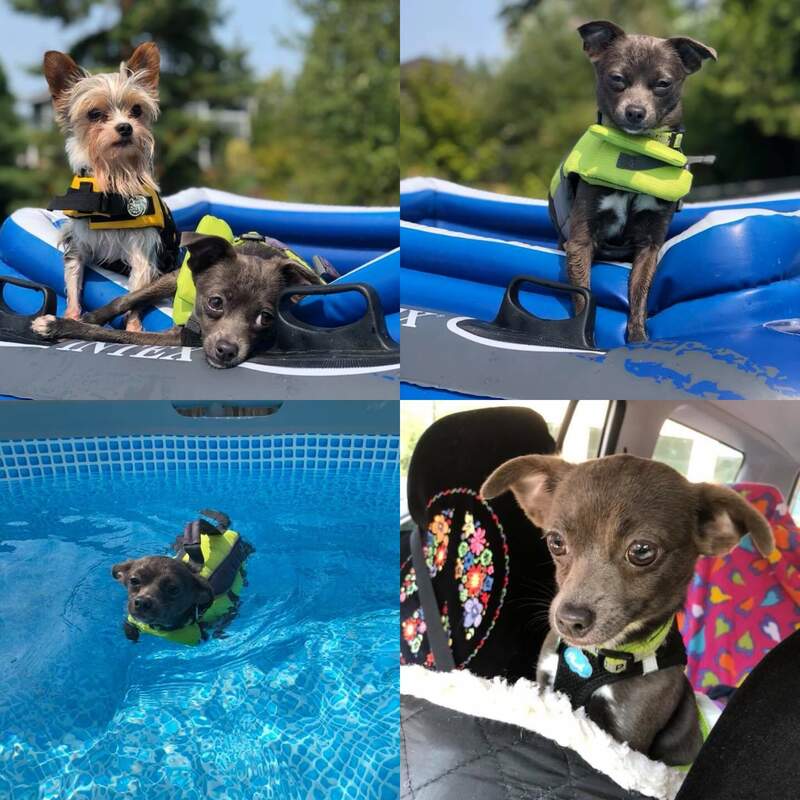 My foster mom even found out that I don’t mind swimming in the pool. Though floating on a raft is more my vibe! City noises are still kind of scary and though NW 23rd isn’t my style, I wouldn’t mind a quieter neighborhood in town. I seem to be a lot more confident surrounded by my Mystery INC doggy pals, and would love to join a family where I could have doggy siblings! So grab some scooby snacks, and fill out an application for me today! 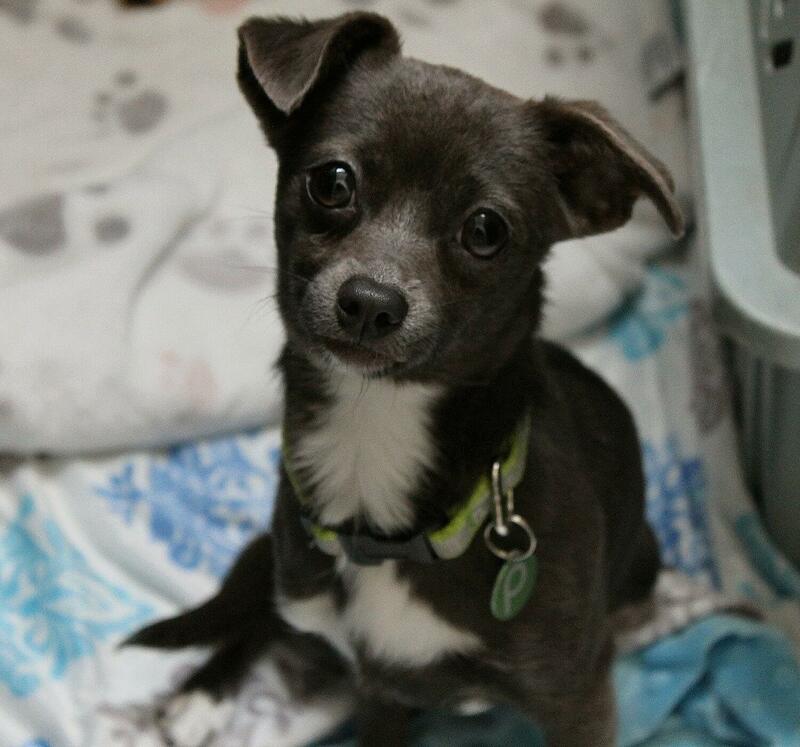 I come to you spayed, vaccinated, and micro-chipped with an adoption fee of $350.